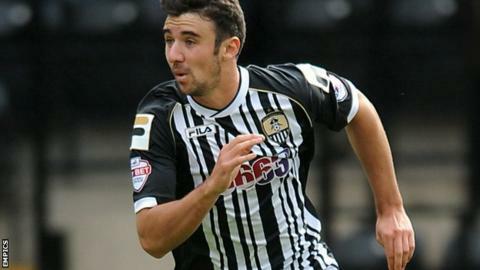 Doncaster Rovers have signed Aston Villa full-back Enda Stevens on loan until 1 January. The ex-Republic of Ireland Under-21 international, 23, who had time on loan with Notts County earlier this season, has not played for Villa this campaign. He could make his Rovers debut against Queens Park Rangers on Saturday. Meanwhile, Doncaster have confirmed that takeover talks with Sequentia Capital have ended without an agreement being made. Chief executive Gavin Baldwin told the club website: "Negotiations regarding the ownership of Doncaster Rovers FC have been ongoing for a number of months, however the current owners feel it is in the best interests of all stakeholders if the club remains in their control. "The decision was based on what they believe is best for the club and they are looking forward to working with all involved in Doncaster Rovers to ensure that the club continues to progress and that the business continues to thrive."